The term “Off grid solar power” means that a solar power system powers a property and is not connected to the electricity grid, it is effectively “off the grid”. When we say electricity grid we’re talking about the power lines or underground power that powers most properties. Off-grid solar power systems can also be referred to as “stand-alone power systems” because they are “stand-alone”; they function independently of the grid. Why Would I Want an Off-Grid Solar Power System? 1. Cost to connect to the grid is too high. In remote locations, or even sometimes when the power lines are just a few hundred metres away, the cost to connect to the electricity grid is enormous. 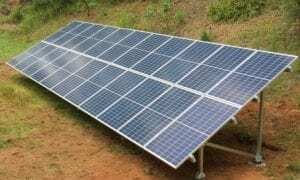 When this is the case off grid solar power systems make perfect sense, as the cost to supply and install a complete off grid solar power system is usually cheaper than the cost to connect to the electricity grid. 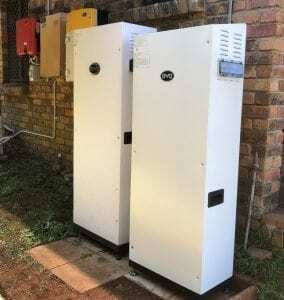 If you did go to all the expense to connect to the grid you would then have to continue paying power bills forever – so why not go off grid in the first place? 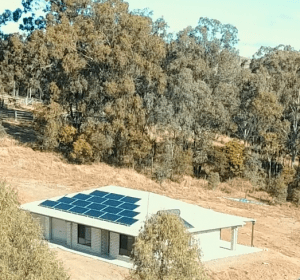 Off grid solar power systems are often remote, like this property in the Gold Coast hinterland. 2. 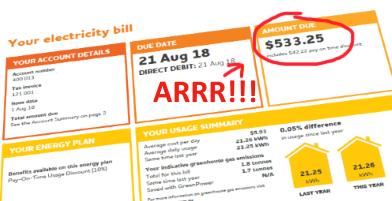 I’m sick of paying high power bills! With growing fixed costs like so-called “supply charges” and electricity tariffs that have nearly doubled in the last decade many people are sick and tired of the grid. An off-grid solar power system can mean you disconnect from the grid altogether – say goodbye to those ever increasing power bills once and for all! Sometimes the electricity grid infrastructure just cannot cope with more power being taken from it, or maybe only single phase power is available and you have 3 phase loads you need to power. An off grid solar power system can potentially bridge the gap. 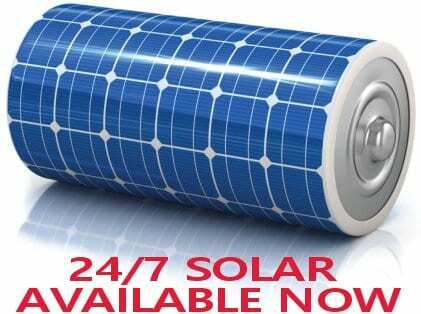 Off-grid solar power systems are a lot more involved than standard grid connect solar power systems. This is because an off grid solar power system has to produce enough power to cover both the day and night time power consumption of the property. Obviously the sun isn’t shining 24hrs a day so any power required at night time has to be stored in batteries. The size of an off grid solar power system in all its components is critical to providing a reliable source of power for years to come. Unlike grid connect solar power systems off grid systems do not have street power as a backup – if power is required and the system is not sized correctly the life of the expensive battery bank can be shortened dramatically due to overly deep discharging or it may require a backup generator to run for a good deal of the time – things which a well designed off grid solar power system will avoid. Available solar resource: Is their enough unshaded area for solar panels to provide the required amount of power? With this information an off grid solar power expert such as Gold Coast Solar Power Solutions can calculate exactly what size system will be required for your unique situation! How much does an off grid solar power system cost? Trying to give an answer to this question is a bit like answering “How long is a piece of string?” Well it depends! Without detailed information about your requirements in the sizing section above we can’t provide an accurate price. We’d love to help though so please fill in our daily usage spreadsheet here, then contact us here and our experts will be in touch with a solution to suit. Heating: Using electricity to heat is extremely inefficient use of power whereas gas is very efficient for heating. DO NOT use electric heaters! Insulate the building well and if you must use heating use gas. 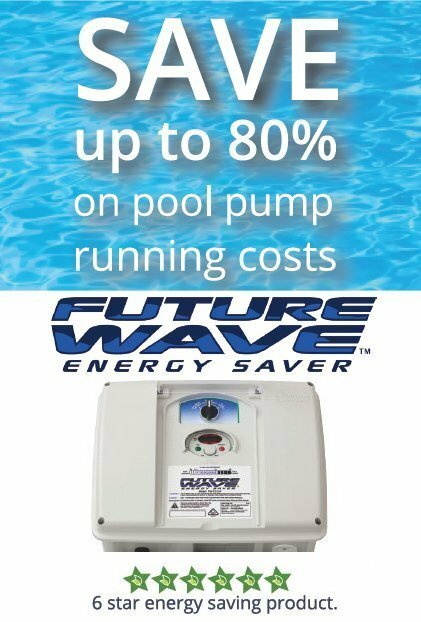 For water heating use solar hot water systems or gas. the building well and try to employ cross ventilation, making use of natural convection and breezes. If you feel you must have air conditioning then keep it to small inverter split systems. Over the summer months fans and air conditioners are used. Make sure these are accounted for when determining the appliance loads and power consumption of your property over the summer months. Over the winter months the nights are longer so lights tend to be on for more hours and heating appliances may be required. Make sure these are accounted for when determining the appliance loads and power consumption of your property over the winter months. Days of autonomy: It’s highly likely that your solar panels will not provide sufficient power to charge your battery bank on heavily overcast days. Days of autonomy is the number of days that you intend to be able to have power available from batteries before having to resort to a backup generator if the solar panels are not providing enough charge due to bad weather. 2 to 4 days is quite normal however the price rises dramatically with each additional day of autonomy, so keep that in mind! If you have a generator and the batteries are running down you can always top up the batteries with this, or if you see the weather forecast is supposed to be bad for the next week or so cut down your power consumption to extend the autonomous period you have to work with. In certain situations off grid solar power systems are a great investment, however we can’t emphasise enough the importance of using quality components. 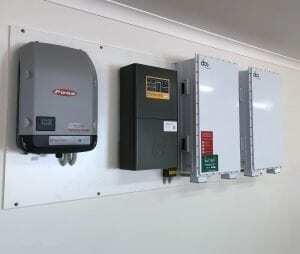 The solar panels, inverters, chargers and batteries all should be of high quality backed by a local company with a long history in the industry such as Gold Coast Solar Power Solutions. 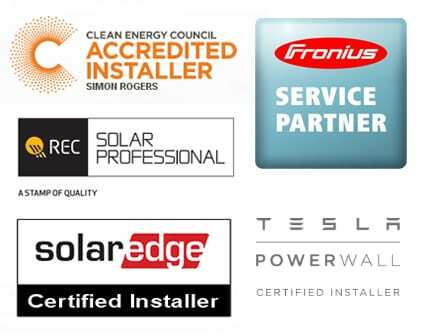 We are fully accredited and experienced in the design, supply and install of off-grid solar power systems, why not contact us today to see how we can help you go off grid? Just wondering if it is possible to setup a ‘hybrid’ system for a residential property. I was thinking at setting up a hybrid system that would capture power during the day in batteries, then utilise this power during peak times at night, (reducing cost due to higher peak time tariffs) and running on grid once this battery power is exhausted. I currently have a 1.5kW system in place at my parents house at the moment (8 Panels), and I do want to upgrade eventually by adding an additional system so as to keep my current feed in tariff. Hi Bernhard, thanks for your enquiry. This is certainly possible however at the moment large batteries as required to store enough power are quite expensive; you would probably be looking at a 10 year return on investment and after 10 years you would need to replace the batteries again! At this stage if you have a good, reliable connection to the power grid I would recommend using the grid for power at night time and solar power during the day. In a few years time with the continual advances in battery technology this could well have changed, so maybe revisit the idea in a few years time.